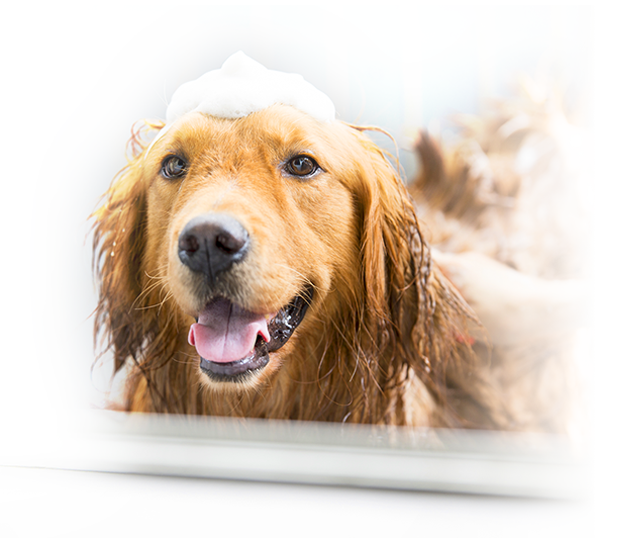 to a sparkling clean experience! 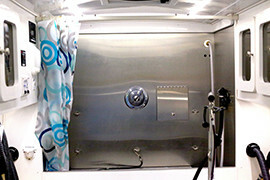 Ultra Plenish conditioning for skin care. 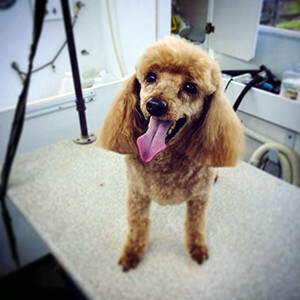 All services include LOTS of love and attention at no additional cost! 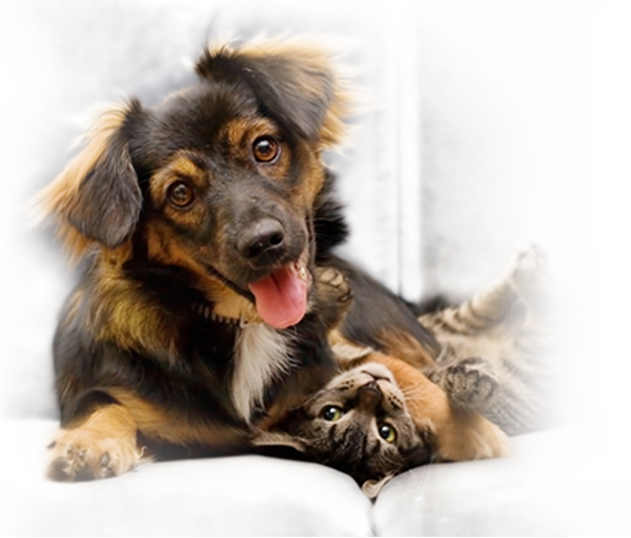 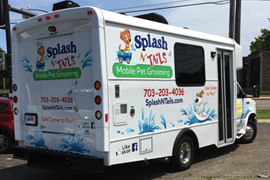 We offer a full service pet salon on wheels for dogs and cats. 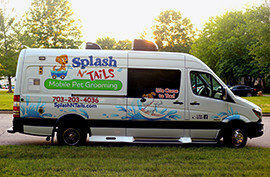 Splash N’ Tails is able to do what full salons offer with one great exception: we don’t cage your pet. 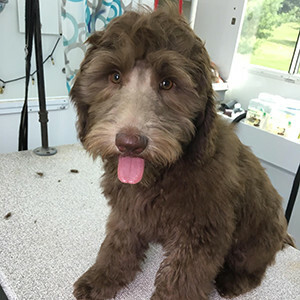 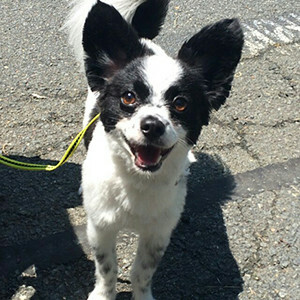 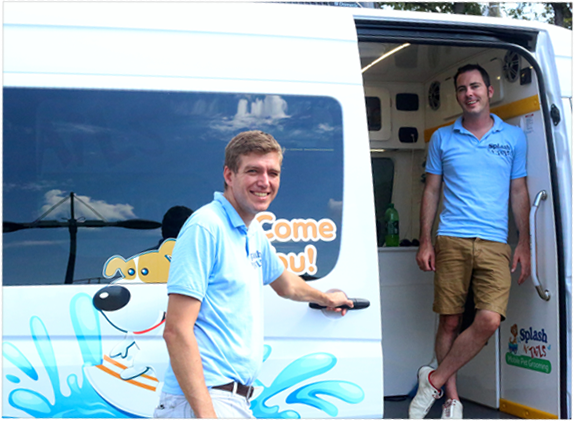 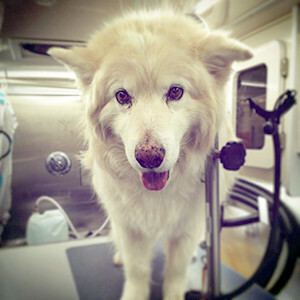 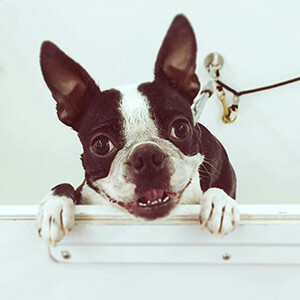 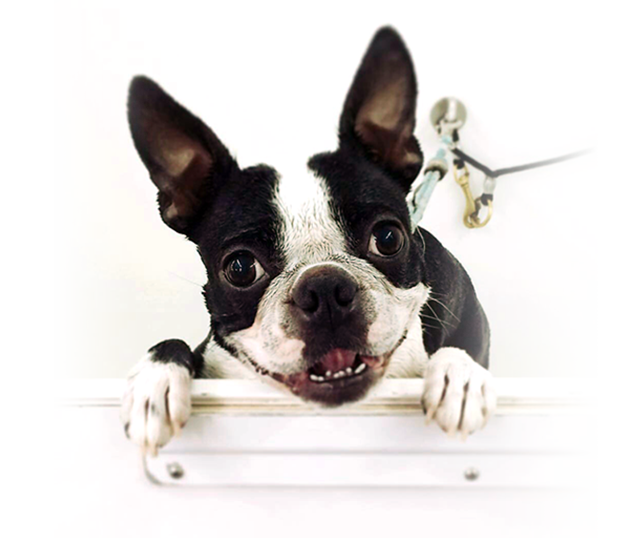 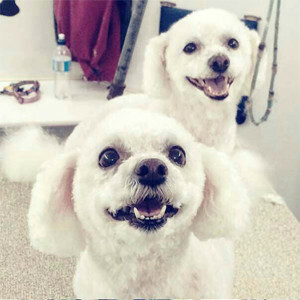 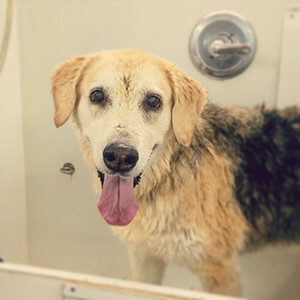 Your friend is our exclusive client while in our mobile unit, and is bathed, dried and groomed before returning to you, tail wagging. 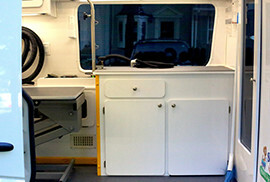 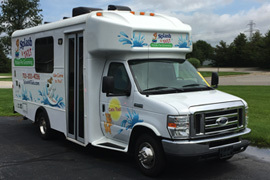 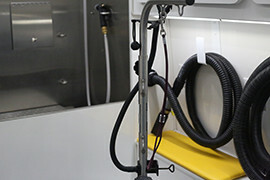 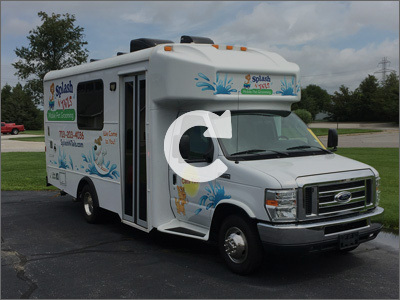 Just take a look at our state-of-the-art mobile facilities. 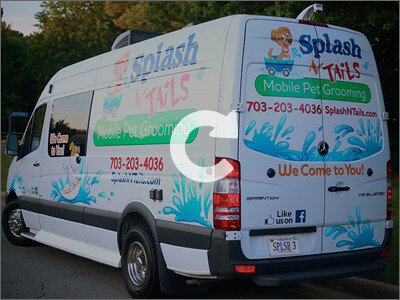 We invite you to take a virtual tour of our mobile facilities.